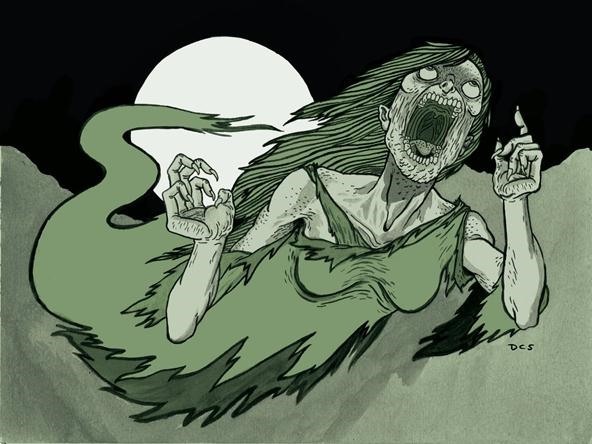 The BANSHIE (or BANSHEE) is a female spirit from Gaelic folklore that wails unbearably loud as PRESAGE for someone's imminent death. Irish legend states her as being a fairy woman and messenger of death from the Otherworld. Her wailing omen of death usually refers to the impending death of a family member or loved one. Banshies most often appear as a frightening GORGON—an ugly woman or hag. But they can also appear as beautiful women of any age. On the battlefield, Gaelic mythology says that banshies may also appear as washer women, washing the blood of the clothes and armor of those about to die. A banshie may not always be seen, but she will always be heard, usually right before death and most likely near woods. And when multiple banshies appear and wail simultaneously, it's thought to be the death of someone great or holy. Sometimes these mythical banshies were actually incorporeal REVENANTS, ghosts of a murdered woman or woman who died in childbirth. 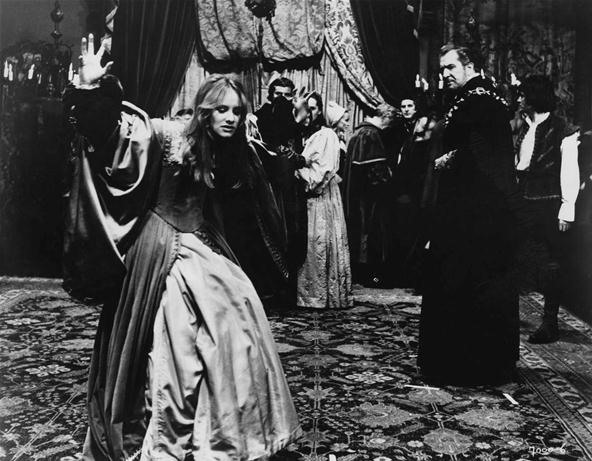 The most obvious usage of a banshie in horror films is in the Cry of the Banshee with Vincent Price. But the banshie in this film is not your typical banshie. Instead, it's a spirit summoned to destroy the whole family of a lord who massacred a coven of witches. Sometimes banshies can be connected to WITCHCRAFT, but usually only as the form of an animal associated with Irish sorcery, like a hooded crow, stoat, hare and weasel. 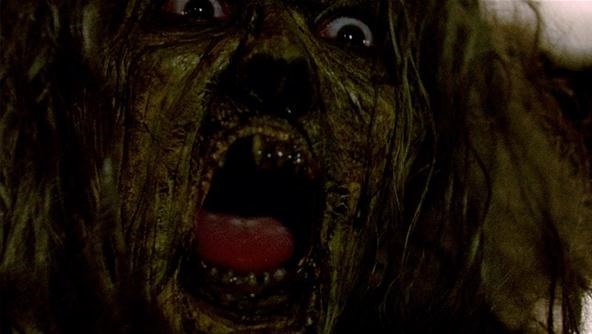 Another horror movie is the newer Scream of the Banshee, a SyFy original with Lance Henriksen. Not much worth your time though, unless you love banshies.